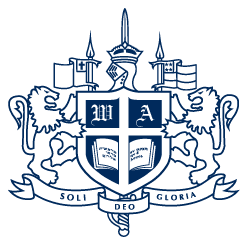 *Multiple Student Discount: Westminster Academy provides a 5% tuition discount to families with more than one child enrolled full‐time in PK2 through twelfth grade. Discount applies to each child enrolled after the oldest. The FACTS Tuition Management Program makes payment easier for you by distributing the tuition and grade level fees over 12 monthly payments processed by electronic funds transfer directly from your bank or credit card. The initial set‐up fee for this service is $45 per family and is administered by FACTS. The first payment begins in June and continues through May. Your student is not enrolled until you have established your FACTS account through our business office. Please note that if you apply for admission any time after June (when our 12 payment installment plan has begun) you will be required to pay any tuition due prior to admittance. Please click below to enroll in the FACTS Tuition Management Program. Before you begin online FACTS enrollment, please have a check from your bank account with the bank name, phone, routing, and account number. A credit card may also be used for monthly payments. Please call FACTS directly at 800.624.7092 Monday through Friday 8:30 a.m. to 8:00 p.m. with any registration questions or concerns.